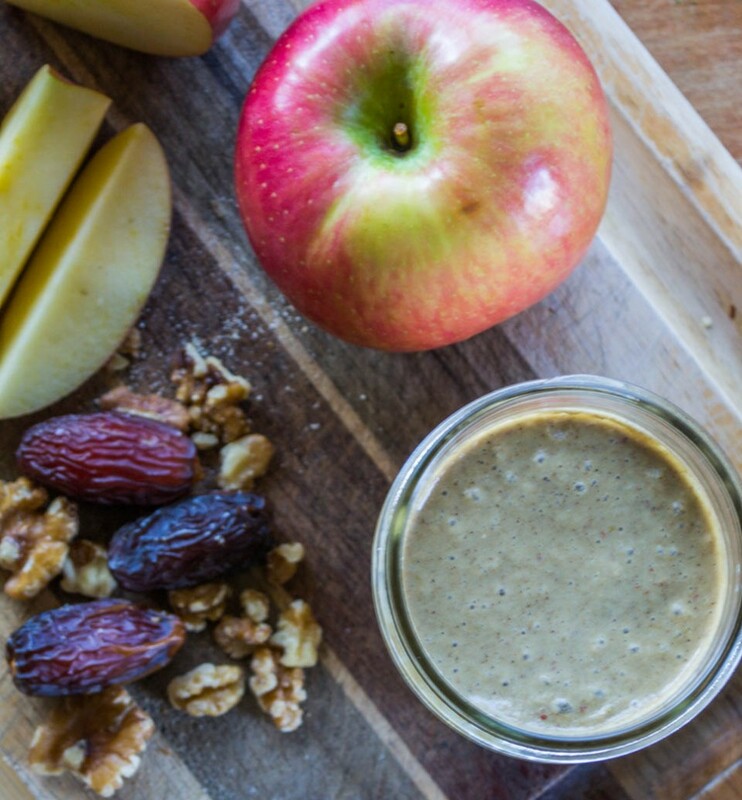 An Apple Pie Smoothie sounds like a great beginning to a day full of cooking for Thanksgiving to me, doesn’t it to you? Happy Thanksgiving week everyone! 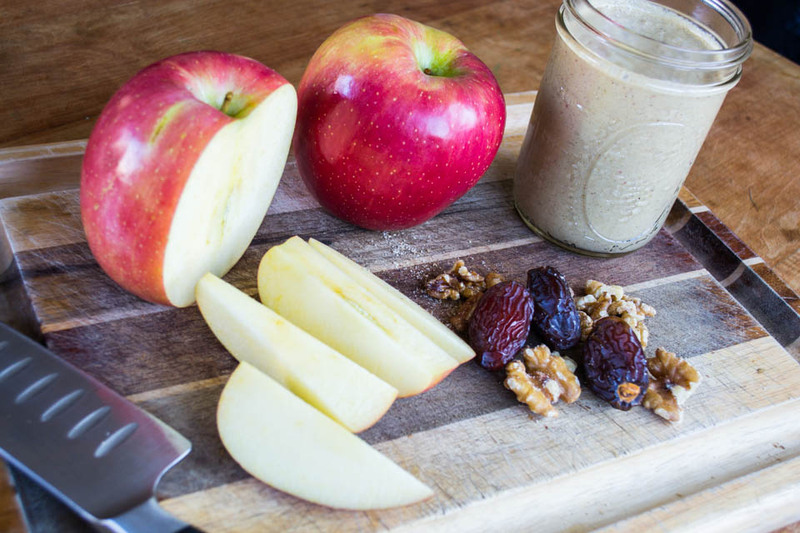 Apple Pie Smoothie is full of healthy fats, plant-based protein, dairy free and refined sugar-free. 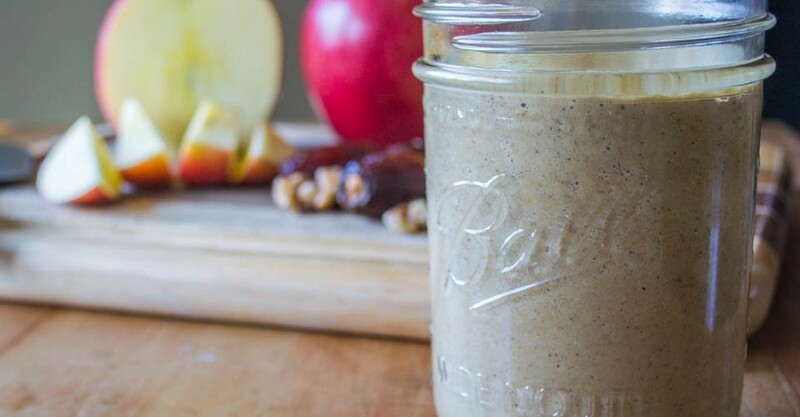 You and I both know we will be indulging in plenty of Thanksgiving food over the next few days so starting off this eating frenzy with an Apple Pie Smoothie sounds like a good idea to me. I will be busy making some Grain Free Dairy Free Pumpkin Cheesecake, along with Sweet Potato Souffle that is gluten-free and vegan. Green Bean and Butternut casserole will also make it on the menu because what is Thanksgiving without out a green bean casserole. What are some of your favorite dishes to make or eat for Thanksgiving? I’ve become a little bit of a hoarder, a hoarder of organic apples that is. Traveling through eastern Washington a lot lately has led me to picking up a case of apples here and another one there, stocking the root cellar so we can have them through most of the winter. I didn’t get very many from our tree this year so hitting up some of the fruit barns that have organic apples has happened a few times in the past month. That is also why Apple Spice Oatmeal and Apple Pie Smoothie have started out many a mornings here since we moved to our new homestead, at Meadows End Ranch. It can be a challenge to eat healthy during the holidays but not impossible. Be the difference maker at your holiday get together and choose to make recipes that are healthy and not laden down with unhealthy fats, processed and full of white flour and white sugar. 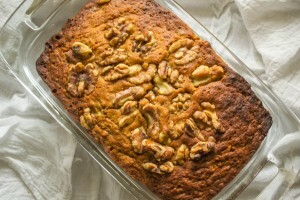 Break out of the mold and make dishes containing fresh fruits and vegetables, and desserts that are sweetened with dates, honey or pure maple syrup. If you need ideas you’ll find many here on The Unprocessed Home. I give Thanks for all my readers out there, my family and all the God has blessed me with. Take time to enjoy your loved ones this season and don’t spend all your time in the kitchen. Happy Thanksgiving everyone. Add ingredients into blender in the order listed and blend. Happy Thanksgiving! You are in our thoughts everyday. Thanks for sharing those wonderful recipes! Happy Thanksgiving to you and all of yours. Thanks so much! Thanks Lindsey. Thanks for welcoming me, looks like a fun group to be apart of.